Classic elegance meets new world modernity at this full-service, white glove pre-war building located at the epicenter fashionable Upper East Side. 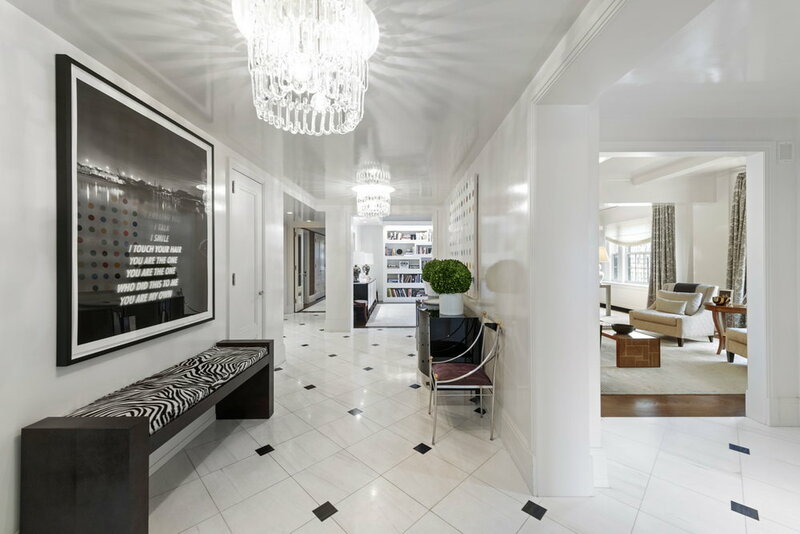 The gorgeous marble lobby and white-glove doormen welcome you home with discreet luxury onto your private elevator landing into this light and bright and extensively updated 5 bedroom residence. 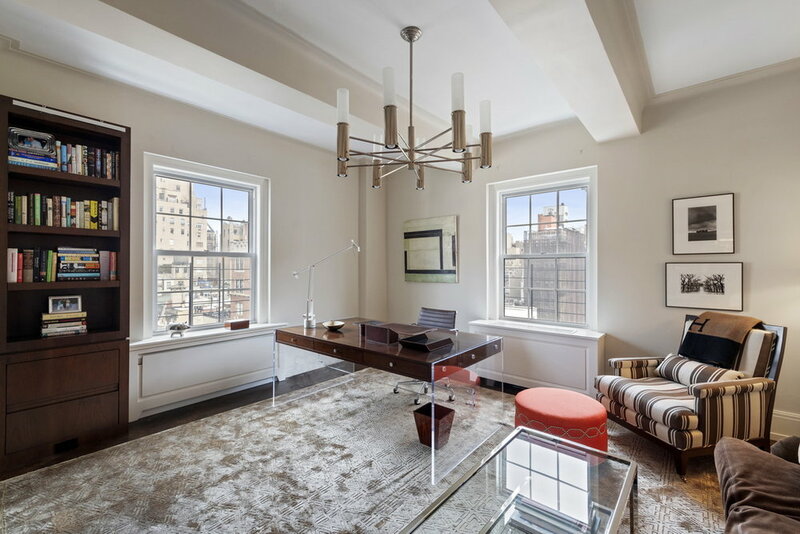 The voluminous living room with two formal seating areas has a wood burning fireplace and western views over Madison Avenue and the grand corner library facing 66th street, overlooks the famed Fred Leighton building. At the heart of the masterfully proportioned home is the formal dining room with decorative fireplace and high ceilings a perfect showcase for the most discerning art collectors.The fabulous modern chef's kitchen with eat-in banquet and island is complete with wine cooler, Wolf, Miele and Sub-Zero appliances and oversized butler’s pantry. The kitchen leads to wonderful family room and has a separate hallway leading to staff quarters with laundry facilities and generous storage space. 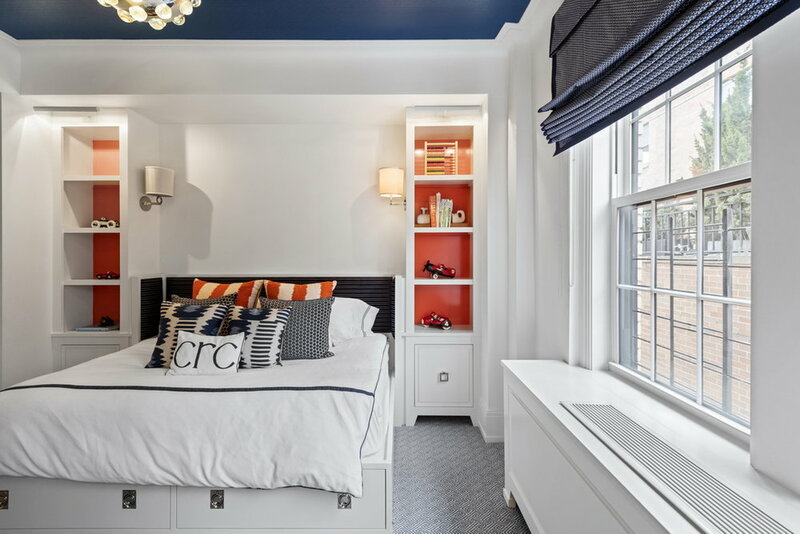 The expansive Master Bedroom has a wood burning fireplace, dressing room with beautiful walk-in closets, and large, luxurious, marble master bath with a dual vanity and radiant heat floors. 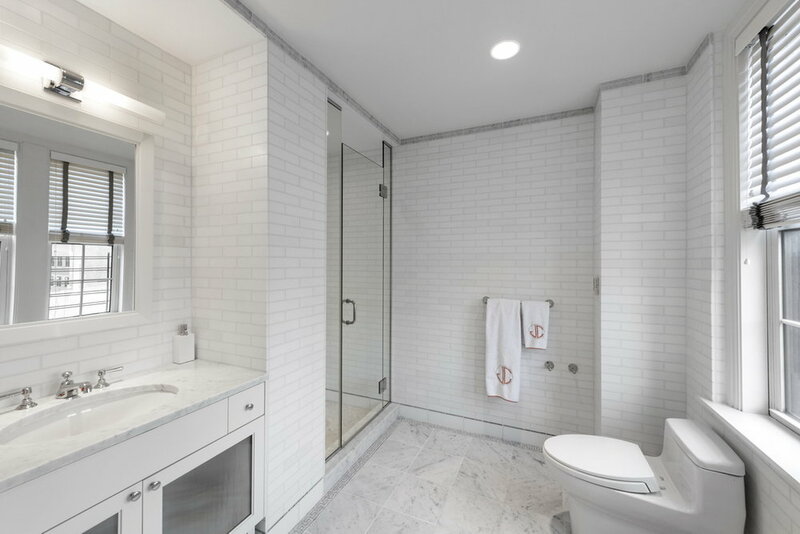 This vast apartment, just under 5000 square feet, features 5.5 marble baths, 2 wood-burning fireplaces, herringbone and marble floors, through-the- wall air and heat, and Sonos entertainment system. 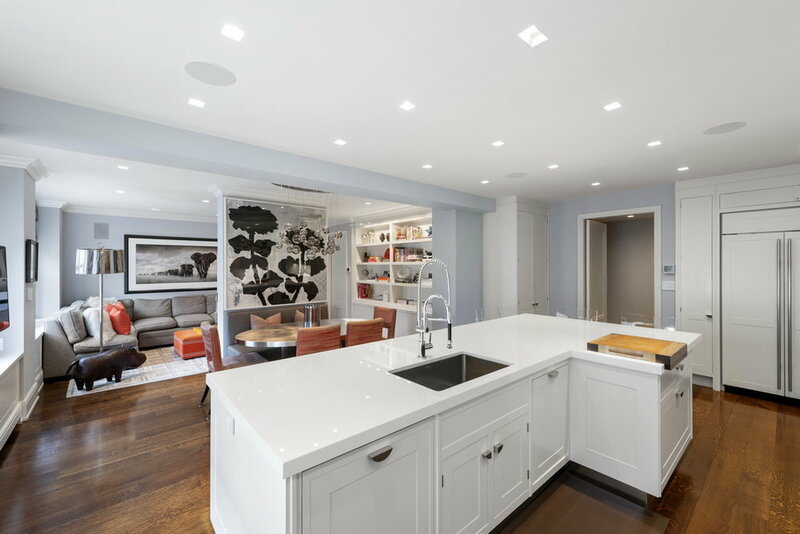 40 East 66th Street is a full-service, white glove pre-war condominium designed by Rosario Candela and converted in 2008. The building has 24-hour doorman as well as a gym, playroom and bike and stroller storage. Close to some of the finest high end designer boutiques, incredible restaurants, Museum Mile, 1 block from Central Park and convenient to transportation, Residence 12b has everything the discerning buyer requires.